Firefox 66 is out, and brings with it a host of great new features like screen sharing, scroll anchoring, autoplay blocking for audible media, and initial support for the Touch Bar on macOS. Now you get to decide when to disturb the sound of silence. Note: We’re rolling out blocking gradually to ensure that it doesn’t break legitimate use cases. All Firefox users should have blocking enabled within a few days. 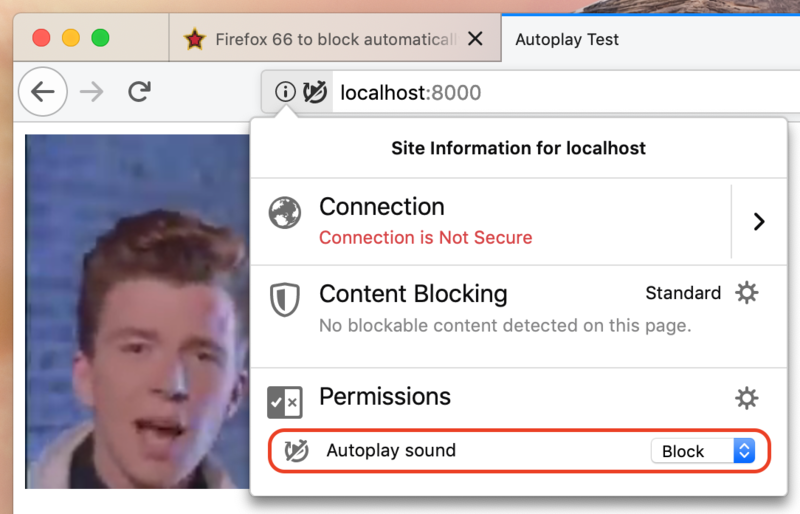 Firefox now implements scroll anchoring, which prevents slow-loading content from suddenly appearing and pushing visible content off the page. 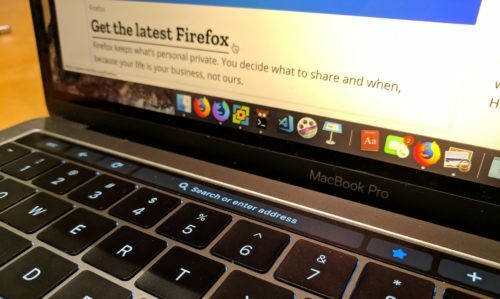 The Touch Bar on macOS is now supported, offering quick access to common browser features without having to learn keyboard shortcuts. Too many tabs? The overflow menu sports a new option to search through your open tabs and switch to the right one. Astute users will note that clicking on “Search Tabs” focuses the Awesomebar and types a % sign in front of your query. Thus, while the menu entry makes tab search much more discoverable, you can actually achieve the same effect by focusing the Awesomebar and manually typing a % sign or other modifier. 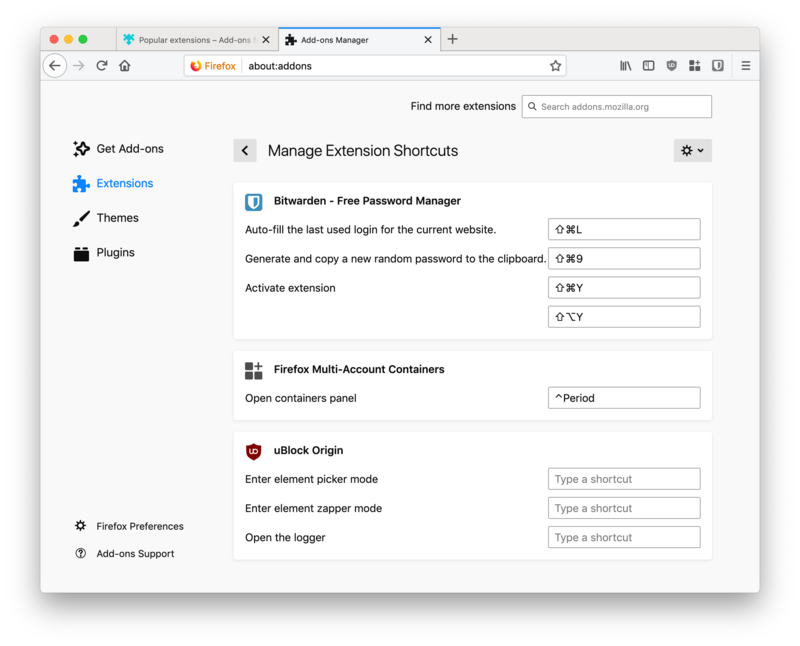 Speaking of shortcuts, you can now manage and change all of the shortcuts set by extensions by visiting about:addons and clicking “Manage Extension Shortcuts” under the gear icon on the Extensions overview page. Firefox is the first browser to support animating the CSS Grid grid-template-rows and grid-template-columns properties, as seen in the video below. We’re also the first browser to support the overflow-inline and overflow-block media queries, which make it possible to apply styles based on whether (and how) overflowing content is available to the user. For example, a digital billboard might report overflow-block: none, while an e-reader would match overflow-block: paged. Optional case sensitivity for [attr] selectors. Unprefixed min-content and max-content size keywords. 19 new shorthand logical properties — these specify values relative to the current writing mode rather than the edges of the screen . The new getDisplayMedia API enables screen sharing on the Web similarly to how getUserMedia provides access to webcams. The resulting stream can be processed locally or shared over the network with WebRTC. See Using the Screen Capture API on MDN for more information. Mozilla is using getDisplayMedia in Bugzilla to allow people to take and attach screenshots to their bug reports, directly from inside the browser. Also, starting with Firefox 66, InputEvent now has a read-only property, inputType. This distinguishes between many different types of edits that can happen inside an input field, for example insertText versus insertFromPaste. To learn more, check out the documentation (and live demo) on MDN. 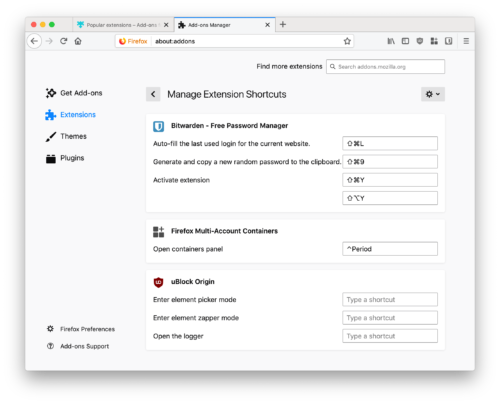 Local storage for browser extensions is now backed by IndexedDB, offering significant performance and memory improvements, especially for users with many extensions installed. No developer-facing APIs were changed; this improvement is completely transparent and automatic for extension authors. We’ve doubled Firefox’s default number of content processes from 4 to 8. We’ve managed to do this while keeping Firefox’s memory usage virtually unchanged thanks to Project Fission’s efforts to reduce per-process overhead. Firefox now supports Windows Hello for passwordless authentication online via WebAuthn. From all of us at Mozilla, thank you for choosing Firefox!